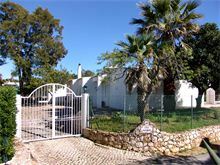 Casa Alfarroba is in the much sought after residential area of Quinta do Paraiso and within walking distance of the beach and the popular resort of Carvoeiro. Set all on one level this great value villa is perfect for those not wishing to totally rely on a hire car during their holiday. 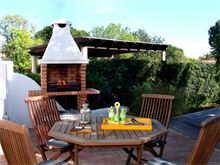 The traditionally-styled house has plenty of modern comforts and facilities with a great outdoor area and pretty mature grounds with natural shaded areas. 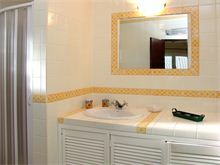 Approximately 1km from Carvoeiro centre and beach, and 300m from local shop and restaurants. Electric gated driveway leads to entrance hall and into the open plan living/dining room with TV, DVD, wood burning stove. 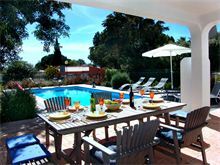 Patio windows open onto a covered pool terrace with separate barbecue area. 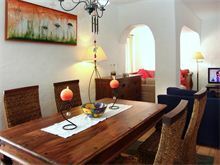 Attractive decked area furnished with relaxed seating and natural shade.Modern kitchen with dishwasher and microwave. 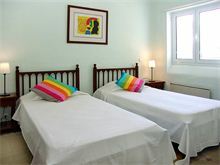 Bedroom accommodation comprises 1 double room with en suite shower room, a further double room and 1 twin room sharing a separate bathroom, which also houses the washing machine. Maid service 2 times per week. Air conditioning and WiFi are available at extra charge, if required. A comfortable villa close to local amenities (small shop, local restaurants) and within walking distance of town (10-15 mins). Great outdoor seating spaces including areas with natural shade. 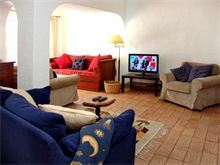 Decent size pool, well equipped kitchen and a great welcome hamper to get the holiday off to a quick, relaxing start. Excellent fortnight in Carvoeiro and the villa was fantastic. First time we've done a villa holiday and would definitely do it again. 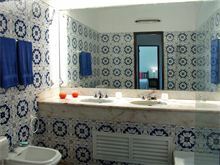 The villa was clean and had all necessary facilities. The area was good and the local people were friendly. A great holiday. 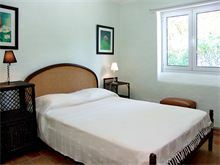 Very pleasantly surprised on arrival, the villa was spotlessly clean, and equipped with absolutely everything that you could possibly need, The maid was very nice and really helpful. We would definitely book this villa again, if we were staying in the same area. 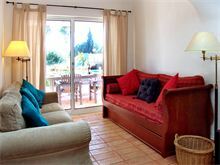 Good villa in a quiet area within walking distance of the town centre and some good local restaurants. Lovely outdoor seating area with some natural shade. The villa was in a great location, quiet street but walking distance to shops, restaurants, main beach and a lovely quiet cove. It has great outdoor space with lots of different options for sitting and relaxing at different times of the day. It was really well equipped, thank you! 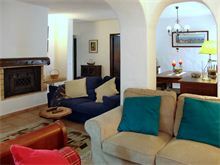 This villa was great for us as a family of 3 with plenty of room! The outside was great with lots of different seating areas and natural shade. Nice looking pool! 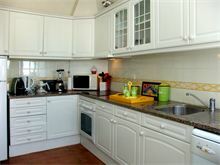 Fully equipped kitchen and plenty of inside seating and good air conditioning. You could walk to Carvoeiro but too steep a hill for us with a toddler. A couple of nice and friendly bars and restaurants nearby. Carvoeiro is a great area as a nice resort and lots of great beaches nearby. Lovely villa perfectly placed and quiet. This villa was absolutely perfect for us. 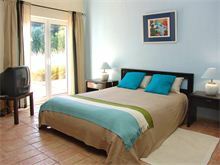 We are a family of 4 with a 17 year old and a 9 year old and the room layout and facilities were excellent.